The ERIC database uses a set of specific terms to name the various types of research methodolgies. These terms can be found using the thesaurus. 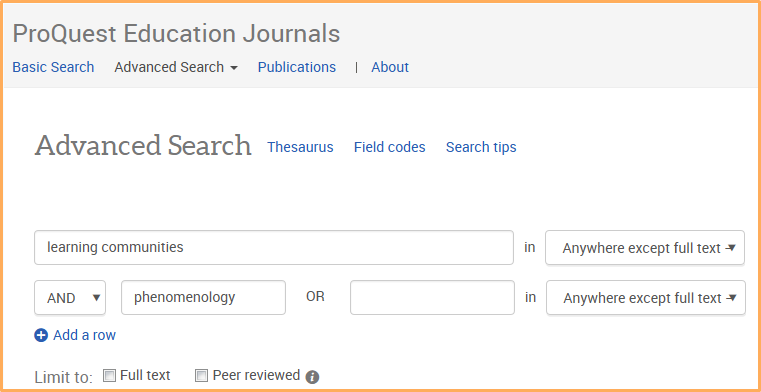 This FAQ provides information on how to find primary research articles; the technique can be adapted to search for articles that use a specific research methodology. Other databases use their own thesaurus of specific terms. These are the terms that ProQuest Education Journals uses for research methodologies.